This is called Island Swift in the Kennedy guide. This is a common resident. It is described in the Kennedy guide as the "most common larger swiftlet in lowlands". It is 4 3/4". It was much larger than the other swiftlet found in the area, the Pygmy Swiftlet. 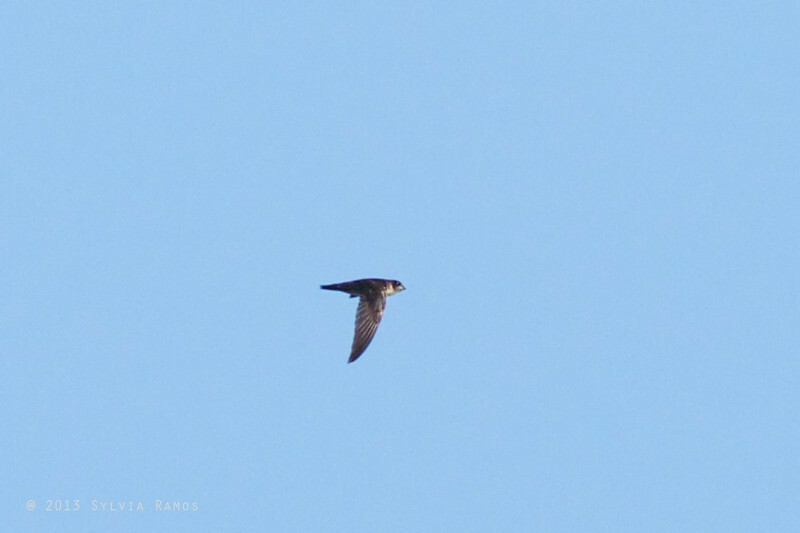 The IOC bird list treats this as Uniform Swiftlet Aerodramus vanikorensis. In the Kennedy guide, there are 2 races mentioned: palawanensis which is endemic to Palawan and amelis which is resident to Bantayan, Batan, Marinduque, Mindanao, Sibuyan. and Verde. It is noted in Oriental Bird Club that "this taxon sometimes treated as a full species Palawan Swiftlet Collocalia palawanensis".